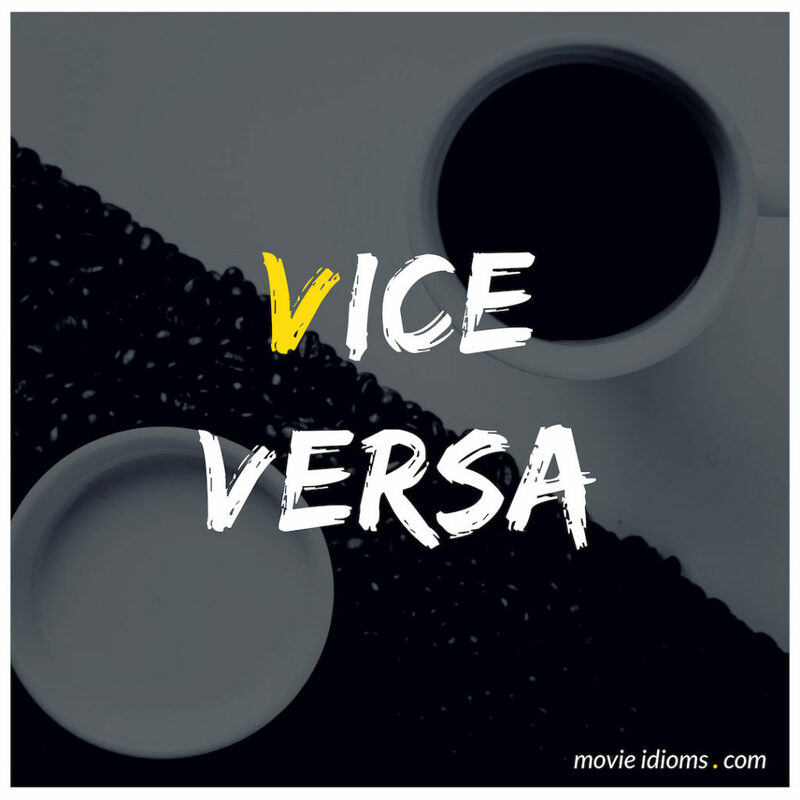 What does vice versa mean? Marcy: You could really use the money, Al. I mean it should be your choice to walk around with green teeth and yellow underwear. Or some times vice versa. Jiminy Cricket: Now, you see, the world is full of temptations. Jiminy Cricket: Yep, temptations. They’re the wrong things that seem right at the time. But uh… even though the right things may seem wrong sometimes, or sometimes the wrong things may be right at the wrong time, or vice versa. Pinocchio: Uh uh. But I’m gonna do right. Jiminy Cricket: Atta boy, Pinoke! And I’m gonna help ya. Mac, Owner of Macs Bar: Ah don’t sweat honey, perfectly normal. Half the world is looking for the other half, did you ever notice it? Just consider it. Buyers and sellers trying to meet up and vice versa. Crooks lookin’ for suckers, boys for girls. Tops for bottoms and bottoms for tops, very interesting. No end. Jobs lookin’ for people, people lookin’ for jobs or for trouble.